High Quality Lucite Pulls Collection. We have custom lucite and Brass Pulls, cabinet handles, furniture drawer pulls, lucite door handles, lucite drawer pulls and more. 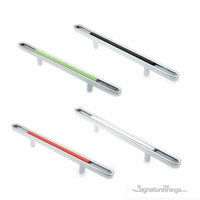 Also, We can design and make the custom Lucite and Acrylic Hardware in any size and Center to Center. We Make Unique Cabinet Hardware with your favorite brass finishes that match your style and budget. Contact us at contact@signaturethings.com for pricing on custom sizes & finishes. We contains many unique cabinet hardware and furniture hardware that you will not find elsewhere. Also, From soft to striking or simple to bold, our huge selection of lucite cabinet pulls, lucite door handles will give your home a fresh and more finished look. Whether the look is Modern or Transitional, our store has the style and color to turn your room into the impressive( and affordable! ) show place you long for. This attractive and versatile plain ring lucite pulls made of fine, smooth , transparent material and is offered with a base in your choice of finish. 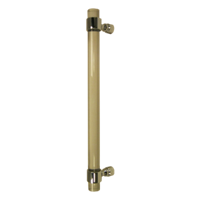 This brass-Lucite combination of Lucite Cube Handle set is perfect for adding an accent to your contemporary home. Add a charm to your entryway with this acrylic handle, the masterpiece. Make your home stylish acrylic cabinet handles, these Modern Drawer pulls can prove functional & elegant throughout the years. Strong contemporary flavor to any cabinet door style. WIDELY COMPATIBLE - Cabinet Knobs and Pulls suitable for different styles of cabinets, wardrobe, wine cabinet, locker. You can match freely according to your furniture. APPLICATION: Fit for modern minimalism,pastoral style or classic style,the unique drawer knob can perfectly match your knobs decoration.